Access your secure Kingston storage unit any time. Our units are available 24/7, 7 days a week. All are modern, clean and protected by CCTV. Get a discount for a longer stay or take advantage of flexible short term storage solutions. Whether you’re between properties, going travelling or need to make some space for renovations, our Kingston storage units offer flexibility and peace of mind at a competitive price. As well as flexibility and security, choosing Kiwi Movers means you’ll get a great service backed by an expert team. As well as being convenient and flexible, self-storage often works out cheaper than bulk containerised storage over the short term. Our Kingston storage unit has no minimum stay, just pay for what you use. For storing over the longer term, our containerised storage is likely to be more cost-effective as we offer discounted rates for longer stays. Both short term self-storage and long term containerised storage offer the same flexibility and access. If you’re looking to store some stuff for the long term, bulk, containerised storage is likely a more cost-effective option. You get the same flexibility as you do with self-storage, but on a larger scale. Kiwi Movers ‘mini storage’ service. Store smaller stuff by the item, for a day or a week. Left luggage – let us watch your stuff over the short term. Kingston Upon Thames is not inside the London Congestion Zone. You can make unlimited trips by car or van to your storage unit without paying the London Congestion Charge. Keep a list of the stuff you put into storage. All of your items are safe while in storage, but keeping a list certainly cuts out a lot of hassle and means you don’t have to turn your home upside down looking for something only to find out later that you put it in storage. 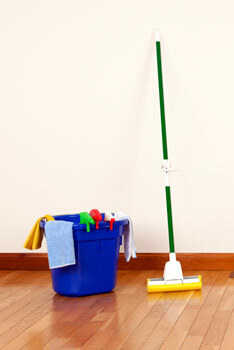 If you’re feeling really organised, you could measure up your larger items before storing them. This means you can make smarter decisions about removals and it’ll even help if you come to view other properties. Take pictures. Think of this as a cheat’s way of measuring up. A photo archive of all your stuff is handy if you need to pick out other items for a new property too. It’s easy to forget how big things are and what they look like once you’ve put them safely in storage. Be pragmatic with your packing. 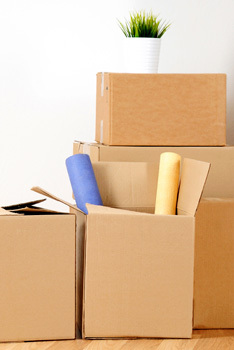 Over-packing will make your stuff heavier and bulkier than is necessary. While under-packing increases the risk of breakages in transit. Use good quality packing material and wrap breakables individually. Consolidate your stuff where possible. The golden rule here is not to pay for storing fresh air. If you’ve got cases or trunks to store, fill them up. Don’t store perishables. Obviously food isn’t to be stored as this could result in a nasty pong when you come to retrieve your goods. But paints, fragrances and some gardening products are also perishable. If you’ve got fertilizer or plant food you won’t need for a while, why not consider donating it to one of the 22 allotment sites and 1,200 allotment plots in the borough of Kingston Upon Thames – we’re pretty sure someone will be grateful of the assistance. Do some basic cost calculations. Sometimes it’s just cheaper to get rid of stuff and replace it later than it is to store it. We’re not advocating wastefulness, but if you’ve got old gym equipment, duplicate books or winter clothes you won’t wear for a long time, why not donate them to charity now and replace them later? There are a number of charity shops in Kingston Upon Thames that would be grateful of your support. Oxfam is at 16 Castle Street, Kingston Upon Thames.